Speed Styles is the area’s trusted provider for quality installation of Paint Protection Film. Protect Your Ride! Speed Styles professional installation of PAINT PROTECTION FILM (PPF and often called Clear Bra) is the most effective way of protecting your vehicle from road damages such as stone chips, debris and scratches. Click on this PPF link to see just a few of our professional installations on exotics such as Aston Martin, Ferrari, Jaguar, Corvette, Maserati and Porsche. 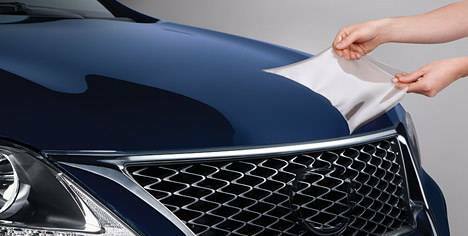 Paint Protection Film is typically applied to the impact zones on your vehicle such as hood, fenders, side mirrors, bumper, grill, rocker panels, headlights covers, floodlights, car door protection, luggage areas, rear bumper deck, roof and A-pillars thus creating an invisible paint protection. Give a Speed Styles representative a call for your specific application and desires.